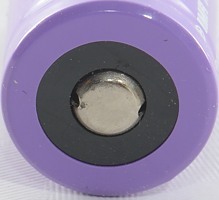 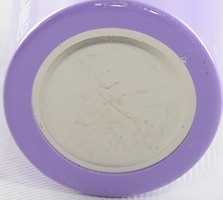 A button top high current 18350 cell, being 18350 and high current means low capacity (exactly the specified capacity). 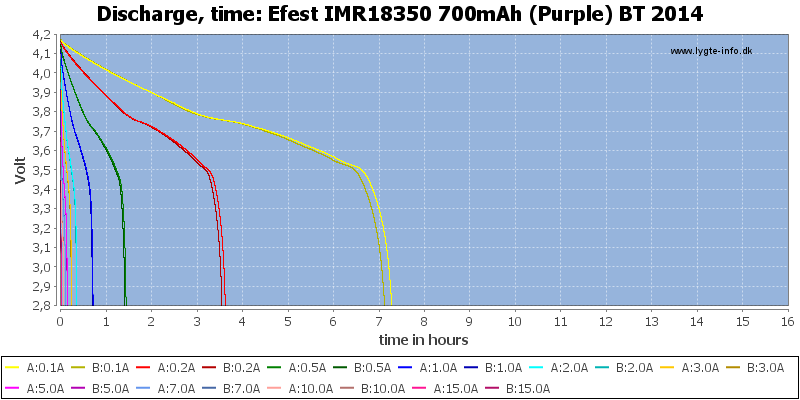 The two cells is tracking fairly well and, as can be seen, deliver 10A. 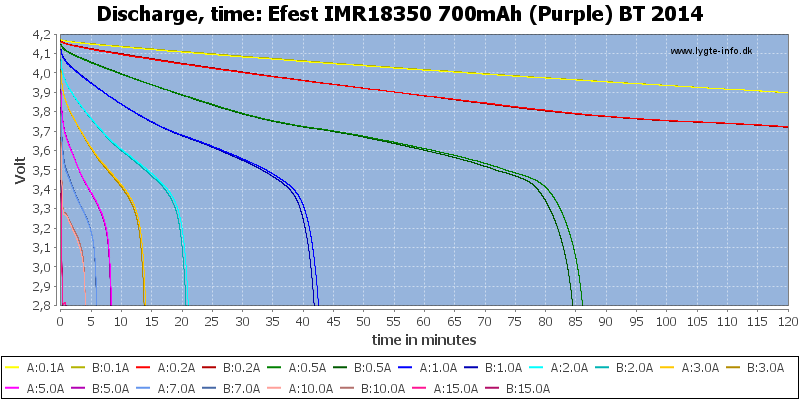 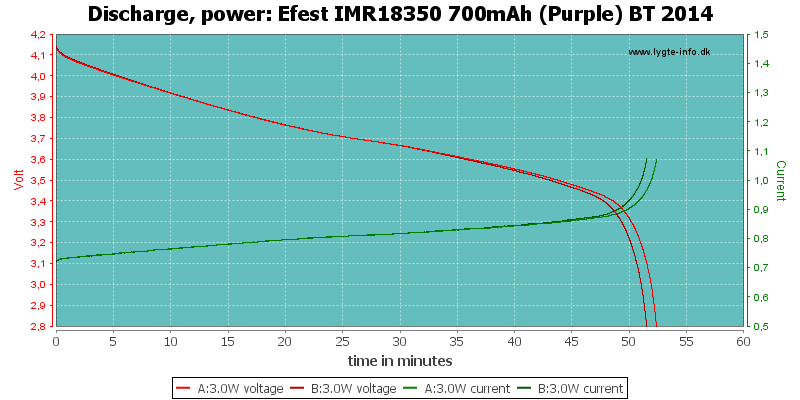 The voltage drop is significant at 10A, it is better to stay below 7A. 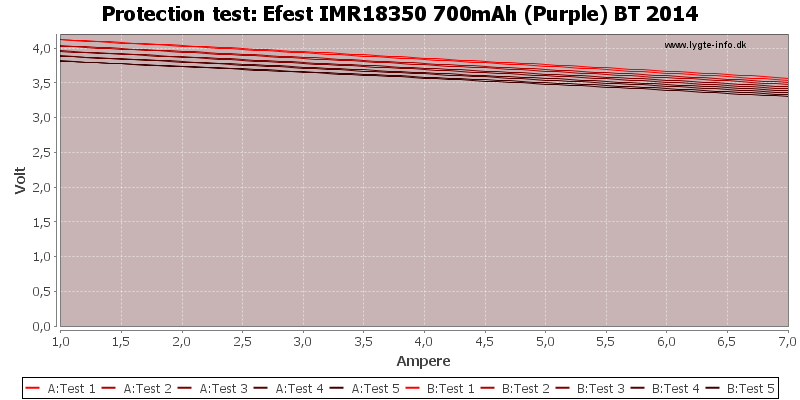 The flat top version is slightly better at high current. 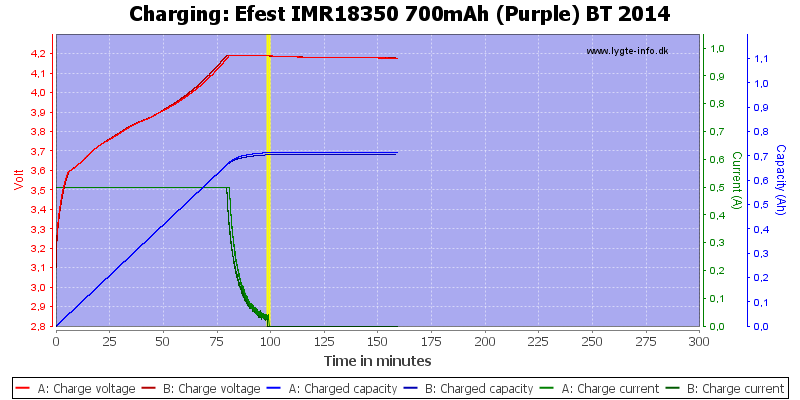 This cell has very impressive high current capability, but do not get it if you want a lot of capacity. 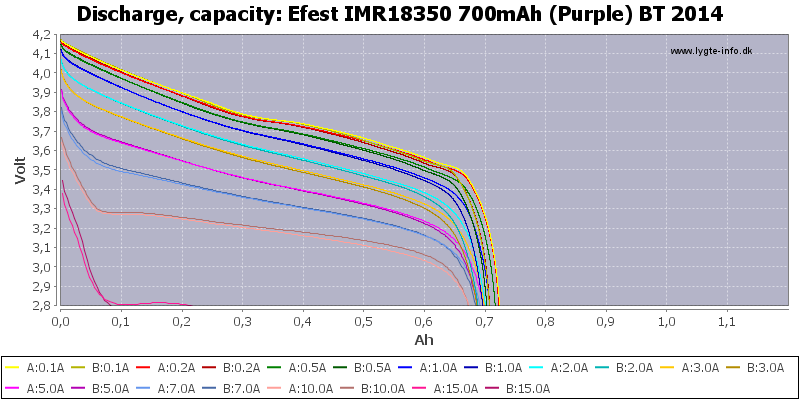 It looks like a good cell. 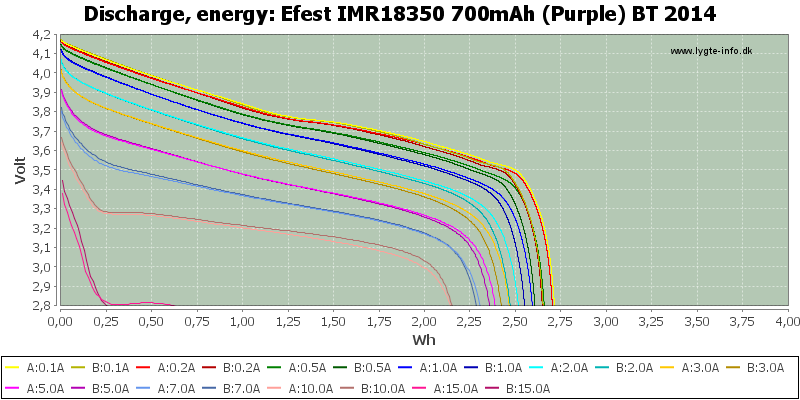 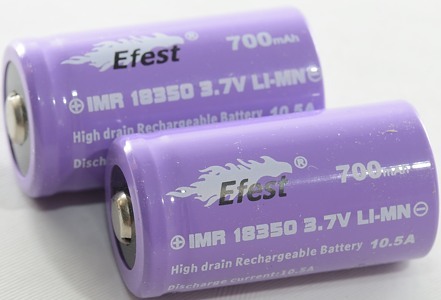 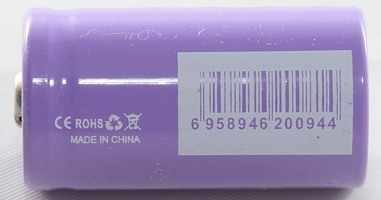 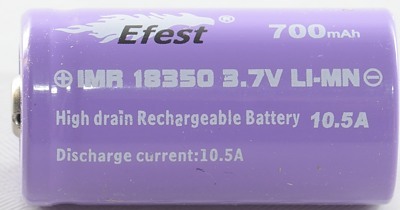 The batteries was supplied by Efest for review.